OzFoz.com • View topic - Replacement headunit for Forester SH9 Nav unit? Replacement headunit for Forester SH9 Nav unit? Post subject: Replacement headunit for Forester SH9 Nav unit? As you may have guessed, I have the dreaded FXDB09MF2 unit. It is cumbersome and lacking features, I even hate the GPS functionality ("turn left soon" - WTF, how about reading me the number of meters to the corner?). If anyone else has replaced it I would love to hear about it! Post subject: Re: Replacement headunit for Forester SH9 Nav unit? SO far so good it does all you mention. Although it comes with it's own number of 3.5mm, USB and MicroSD inputs. -such as auto pause of Doubletwist on "sleep", but nothing an app killer won;t fix. It has iGo GPS mapping built in and so far seems fine, but I'm fully integrated with android and google so I just use google maps anyway. simple menu setting for "watch video while driving"
All the AERpro ISO harnesses, Camera, antenna adaptor are available from Wes Components at half the price of Supercheap Auto. I believe the SUbaru part is NOT a standard double DIN width. it's got snappy performance and haven;t had any system crashes yet. So the 2011 Nurburgring 24H STi will have to do. 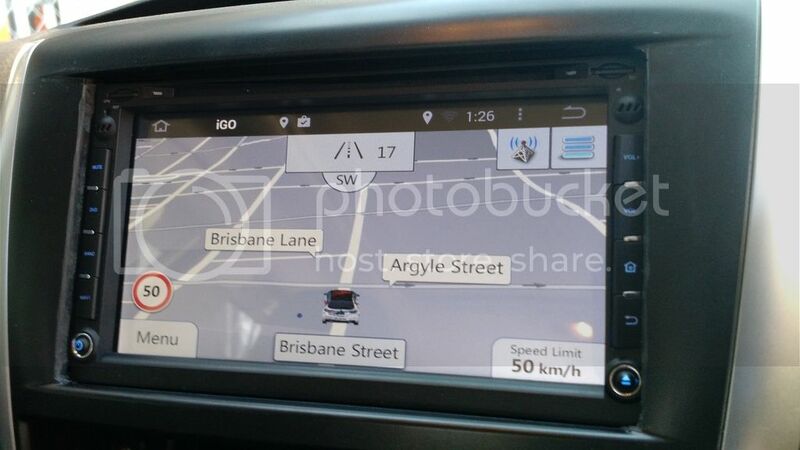 Pretty much any aftermarket double din with android auto (if you have a modern android phone), lets you use google maps. the install will not be straight forward however, gonna need some looms made up for the under seat subs, and just run RCAs from the back to the centre console replacing the original wiring, may as well run the USB there too. The subaru double din fascia fits pretty much any fold down 7" perfectly, as those units are a tad narrower than double din to allow for motor function so fit the subaru piece perfect. Awesome, thanks for the feedback guys - I will look into that. Unfortunately there are no existing Kenwood units using the same wiring. While it is a Kenwood unit that you have, we built it to Subaru's specifications so it's unique compared to the rest of our range. On the plus side, the unit you have is standard double din size so any of our current double din's will fit. It'll just need to be rewired.